A little flash for Mondays Finish the Story–but it’s a continuation of the story of our dear vicar, Celeste. You can find the beginning of her story here, and here. 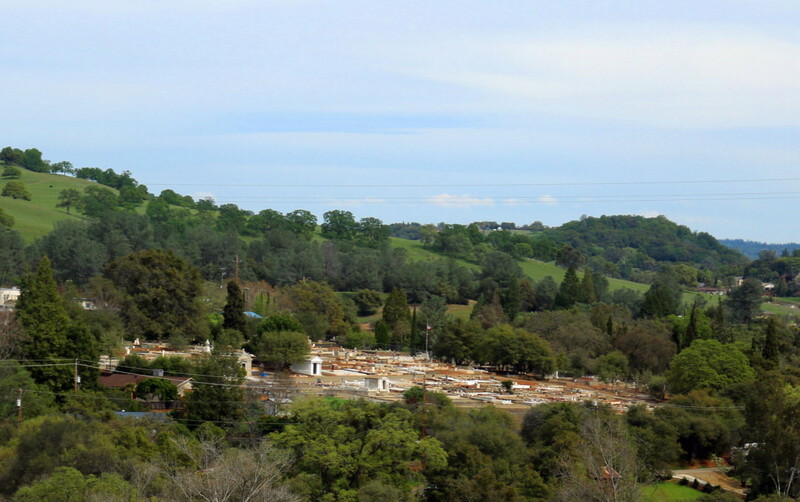 The cemetery spread along the area known as Devils Abode, but Celeste couldn’t understand why–the land around the graveyard was peaceful, lovely even. Perhaps they’d named it after a movie; it sounded like the name of an American western. She settled herself in the shade of an arching tree and closed her eyes against the view of the headstones, trying not to remember that other cemetery. She had stood beside their graves, dumbfounded. A minister unable to pray. She’d always been faithful, had served her parish and His will her whole adult life. Yet God had taken both her husband and her only child in one afternoon, leaving her with nothing but a handful of crumbling soil to toss on the coffins. Celeste sighed and stood up. Grief would not stop her from serving her new parish, though. Perhaps, in that work, she could find something more to hold on to than bitter dirt. This really brings to light that those who are there to support us and make us feel better in our time of need also have their time of need. Excellent story! Thank you. I’m really liking this character that’s evolved from several writing challenges. Might have to make her into a short story! She would make a great story! Beautifully written story, Mara. 🙂 I hope her grief eases in her new parish. Lovely flash. Sad and yet uplifting! Well done! I hope she finds some peace in her new parish, and that helping others helps her. Well done! So true that sometimes those who lead us through our grief need help of their own. Are you working on a new book? I loved your stories and want to read more.